Welcome to Go 2 Pass Driving School – Driving Lessons in Didsbury and Surrounding Areas. Let us help you learn to drive in Didsbury! If you want to start learning to drive in the Didsbury area then you have come to the right place, as we are a professional, qualified team of male and female driving instructors working and providing our services in the Didsbury area, ready to teach you the rules of the road. You might be aware that the area presents some particular driving challenges, including the A5103 dual carriageway and other busy traffic areas and complex roads. We think these make it a perfect place to learn to drive, as you will experience a wide range of real traffic situations that will prepare you for driving on your own, whether you are wanting to book your driving lessons or just want an informal chat give us a call and we will be happy to help. We have a team of friendly, professional driving instructors to suit your needs, both our male and female driving instructors in Didsbury have been carefully chosen for their patient and relaxed teaching manner. You can choose which you would feel most comfortable driving with, and we hope that if you’ve had nay problems with driving schools in Didsbury in the past we will make them a thing of the past. Learning to drive should be an exciting, enjoyable and satisfying experience that gives you a incredibly useful, lifelong skill. We’re sure you’ll already recognise the value of driving lessons and the difference that passing your practical test can make on everyday activities. 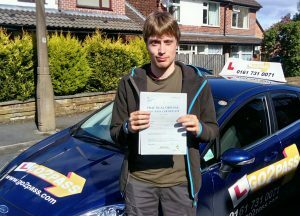 Gaining independence is one of the key reasons people decide to take driving lessons in Didsbury, and having all been there ourselves at some point we recognise the importance of this. We’ve achieved over 80% pass rate in the last year, and have helped hundreds of students in and around Didsbury, Manchester, and other areas to pass their driving test first time. Congratulations to Lisabel Tanner on Passing her driving test on her first attempt at the Didsbury DTC with driving instructor Zahara. Congratulations to Ben on Passing his practical driving test on his first attempt at the Didsbury test centre with driving instructor Alan Nixon. 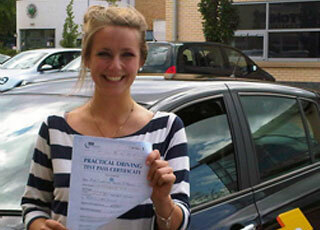 Professional and Friendly Driving Lessons from our Didsbury Instructors. Whatever age you are, and whatever your current level of driving ability, our friendly driving instructors can help you get through your test. Have you tried and failed before? That’s no problem.. we will happily work with you to find out what went wrong, and prepare you for your next test. Call us today for more details. Whether you are a more mature student or have tried unsuccessfully to pass the practical in previous tests, we’re convinced that if you give us a try you’ll be pleasantly surprised. 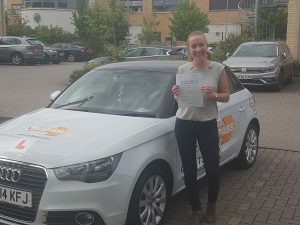 If you’ve thought about giving up or find driving lessons really challenging, then we know our relaxed and reassuring teaching style will help guide you to success once and for all help in obtaining that driving license. We think our first time pass rate speaks for itself, but if there is anything you would like to discuss please do get in touch and one of our friendly and approachable team will be more than happy to help. 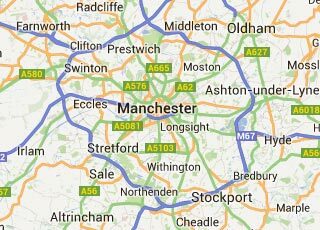 If you’ve been lucky enough to have received driving lessons in Didsbury on a informal basis from family an friends, then no doubt you will have already gained an appreciation for the roads around the area and the challenges they present. If you’re ready to take it that step further however, then we can train you to make perfect manouvres and be test ready in a short space of time. Sometimes all it needs is a little polishing of your existing skills to make you a safe and effective road user. Didsbury offers many driving schools, so try a lesson in one of our dual controlled cars to find out why we believe we’re the first choice. Why should you choose Go2Pass Driving School?